We are a big gaming family, the boys love playing with games consoles and all kinds of games, but none any more than Nintendo games. We love being part of the Nintendo Bloggers Network. We get sent the games and lots of little treats to go with them. When I mentioned Yoshi’s New Island to them, they couldn’t wait. We installed it on Lucas’ Nintendo 3DS which he got for his 7th birthday. He loves it. I’ve played with the Nintendo 3DS a few times and it’s excellent. I love how easy it is to use and the graphics are out of this world with the 3D option. Which can be switched off. Tyler has a Nintendo 2DS as he’s not old enough for the 3DS yet. You can read my review on the Nintendo 2DS. 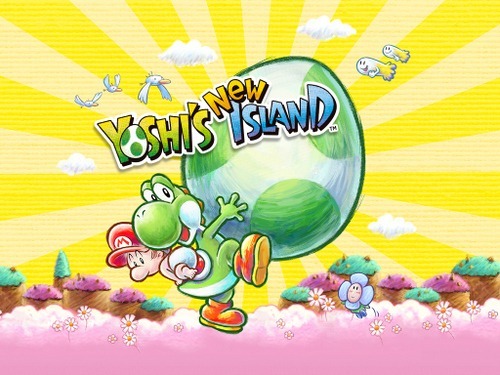 Over the last month or so we have all taken it in turns to play Yoshi’s New Island and it’s been a lot of fun both for the young and the not so young amongst us. Even Granny had a go. We all gave it a big thumbs up on ease of playing, the graphics are amazing and it keeps you captivated for hours. So what’s it all about? I love a good platform game, it’s what I grew up with and prefer these types and escape games to the tablet app games. Yoshi’s New Island is a traditional Nintendo Platform style game which I love and so do the boys. The story is based roughly on the cute little baby Luigi being lost on a distant island. 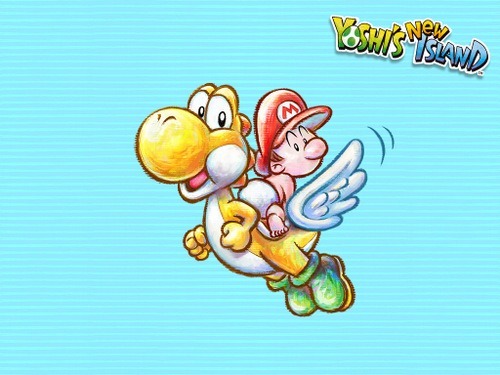 The even cuter baby Mario ropes a herd of Yoshis’ to carry him around the island trying to find baby Luigi. Sounds cute doesn’t it? To play you control one Yoshi at at time and to attack the baddies you use Yoshi’s tongue to lash out as well as the usual Nintendo Mario trick of jumping on the baddie’s head. Yoshi can lay eggs which you can launch at the baddies as well. If you are used to playing other Nintendo Mario platform games and love them, then you’ll love this. There are lots of different zones in the game to keep you entertained and challenged, there really is something for everyone. That being said it is very much so a family friendly game and no need to worry about there being anything that might frighten a child or something in there that they shouldn’t see or hear. I love this about Nintendo. Another excellent family friend part is that if you are struggling and to be honest we all do, the game offers help in the form of a pair of wings that allow Yoshi to fly over whatever obstacle is troubling you. Perfect. Both the boys who are 5 and 7 loved this game and had no problems with it at all. I would say younger than this would struggle. Overall a huge thumbs up from all of us and a great Nintendo classic. Disclaimer:- We were sent a game code for this game for the NintendoDS as part of the Nintendo Bloggers Network. However, all opinions are honest and my own.